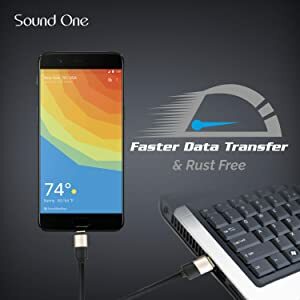 Support 2.0 A Fast Charging and Transfer data to and from all your USB-C devices at speeds of up to 480 Mbps. 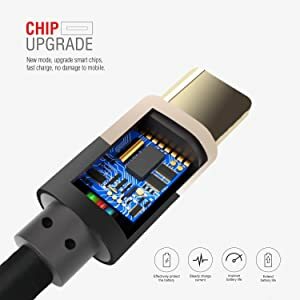 Reversible Connector of USB-C solves the historic problem of which side is up or down and which connector goes into which end. 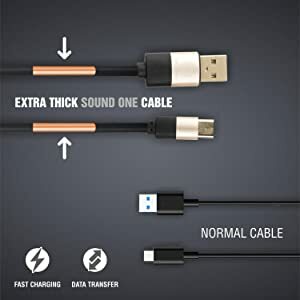 The Type-C connector is reversible and both ends are identical, so all you have to do is grab one end, plug it into the Type-C port, and do the same for the other end. 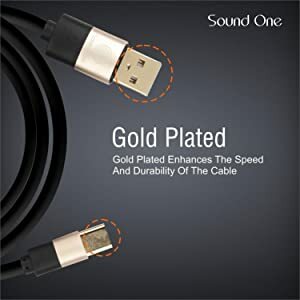 The cable are made from a flexible, twistable & durable silicone material with gold plated core. 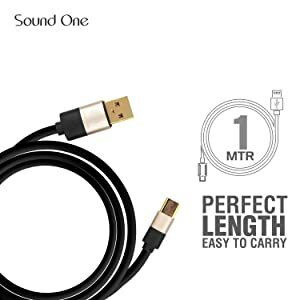 Type C USB 1 meter cable for maximum durability and easy storage. 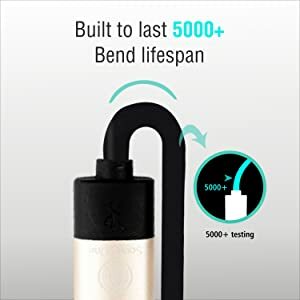 While traditional round cords tend to get tangled, we’ve equipped ours with handy silicone tie to solve the problem for good. 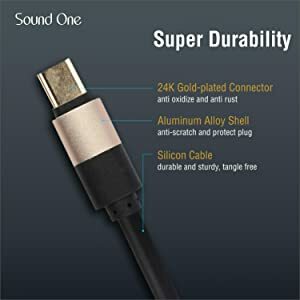 The Sound One Type-C cable is made keeping durability and performance in mind. 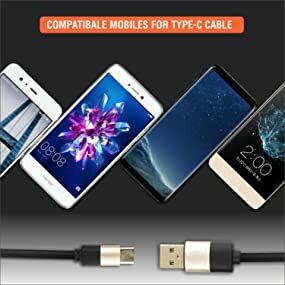 Cables are subjected to quite a bit of stress daily, and these cables have been made to withstand those daily knocks and pulls. We’ve used hard PVC for durability and innovative engineering to create an almost-unbreakable bond. Advanced Chip ensures all kind of protection from over heating and extra current . It is designed for safe use for any device for fast charging or data transfer .